Soft drinks and fruit juices are produced in almost every country in the world and their availability is remarkable. From the largest cities to some of the remotest villages, soft drinks are available in a variety of flavours and packaging. Over the last decade, soft drinks and fruit juices have been the subject of criticism by the health community and there is considerable pressure on beverage manufacturers to reduce, or even remove, the sugar content of these products. 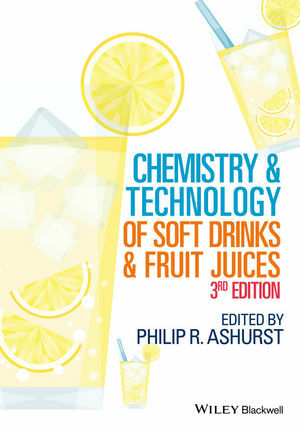 Chemistry and Technology of Soft Drinks and Fruit Juices, Third Edition provides an overview of the chemistry and technology of soft drinks and fruit juices, covering ingredients, processing, microbiology, traceability and packaging as well as global market trends. This fully revised edition now includes chapters on topics that have become prominent in the industry since publication of the previous edition namely: water use and treatment, and microbiology technologies. The book is directed at graduates in food science, chemistry or microbiology entering production, quality control, new product development or marketing in the beverage industry or in companies supplying ingredients or packaging materials to the beverage industry.